Kimbra is out of breath when she picks up the phone. She and her band had just been rehearsing for the Primal Heart tour, which was just a day away. You can tell she's smiling on the other end of the line as she apologizes for the slight delay. The 27-year-old New Zealand pop star mesmerized critics and fans with her vocals on Gotye's "Somebody That I Used To Know," for which she won two Grammys in 2011. And having released her last album, The Golden Echo, in 2014, she sounds ready for her return. "I like to think of each record as a reaction to the last," she tells me. "With the last album, I really explored this fun, imaginative side of making music, a very playful process without limitations." It's true, The Golden Echo is fierce experimental pop, filled with eclectic collaborators and mixed genres. With her forthcoming Primal Heart, Kimbra wanted to challenge herself by imposing some boundaries on her music-making. The result is an impassioned narrative, wrapped in sharp, purposeful production. She chose to limit her "sonic palette" to pick sounds that would perfectly match the sentiments of the lyrics. Making this album was about "searching for that song you've heard all your life, but yet, you haven't heard it before," she explains. "That 'ah' moment." Populated by triumphant ballads and heartfelt grooves, there are quite a few of these "ah" moments on Primal Heart. With vulnerability at its core, she mentions looking to R&B for inspiration, admiring its strength and sensuality. For production, she found hip-hop to be the best at communicating the record's "rawness and boldness." 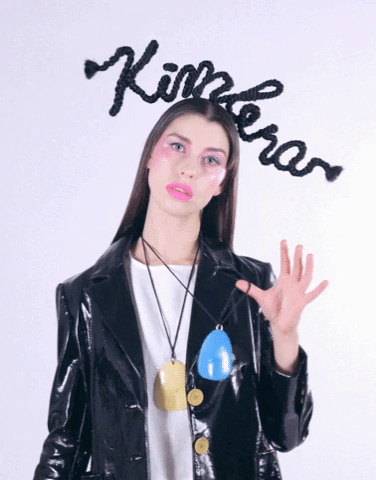 Pop music is at its best when it bridges the gap between singer and listener, an intimate quality that Kimbra boasts on this album. "I pushed myself to find moments that expressed something really personal. I'm always searching for a chorus that can sweep you off your feet," she beams. "A good pop song is something you can relate to in your own life, but universal enough that it can apply to all different types of people. You only get those songs when you're really honest with yourself." How does Primal Heart fit in with your body of work and goals as an artist? It's my personal evolution as I grow and share more of who I am with the world. I wanted this album to be more of a personal invitation than anything I've done before. The imagination aspect is partnered with a deeper sense of groundedness this time. I guess that reflects more of where I am at in my life also. Evolution as an artist is very important to me, it's what makes my favorite artists continue to be relevant because they reflect both their inner world and the world around them.How has your last album and your life since then influenced Primal Heart? I know you recently moved to NYC; has that played a role in inspiring your work? Moving to New York helped me to really work out what is important to me and surround myself with the vitality of 'life' in it's all diversity and complexities. Both ugly and beautiful. It's given me a greater sense of purpose because I am observing the world in a more close up way. I also wrote many of the songs in my apartment in Manhattan so the sounds of the street would sometimes literally bleed into my process and inform the energy and emotional rawness of the music! You also mentioned the power you found in limiting yourself on the new record. Can you expand a little on that? The last album relished in a surrealism and a sort of high-minded escapism of ornate layers and dimension. While this record certainly has a lot of color, I consciously wanted to ground it in more of a gritty directness, I wanted to find the fundamental, and strip whatever got in the way of exposing that. Stripping the decoration a little and revealing what is central. John (who co produced the record) was a big part of helping me discover that and we definitely had to limit ourselves and make more instinctive decisions so we didn't start overthinking it. You said earlier that you were looking forward to performing the album live so you can really get its message across. What is that message? It's really powerful performing these songs live because they feel very intimate and confrontational in some ways. But I truly want to reach that place where we are all connected, at the innermost part of our being. A heart that is primal. To me this reflects this kind of rawness, strength and acceptance of ourselves as being both animals and souls that need love. There's a vulnerability to that. A sense of coming back to origin and truth. I believe music has the power to unify in very deep ways, Primal Heart is an exploration of those ways in which we are connected. Is there a specific song on the album that you think really encapsulates the message? I think "Version Of Me" speaks strongly to the more confessional sides of Primal Heart. It's all about cycles and wanting to go beyond oneself but also feeling chained to the habitual cycles of fear and stagnation which is a somewhat primal dilemma. History tends to repeat itself despite how far we progress as societies. We long to evolve beyond our past self but can find ourselves in a sort of battle with our own nature. Primal Heart is out April 20th. Listen to lead single "Human, "below."